An end-user loads the widget. The end-user selects the payment method, optionally the product he/she is paying for and clicks Buy. If needed, the end-user provides payment details, such as credit card number. 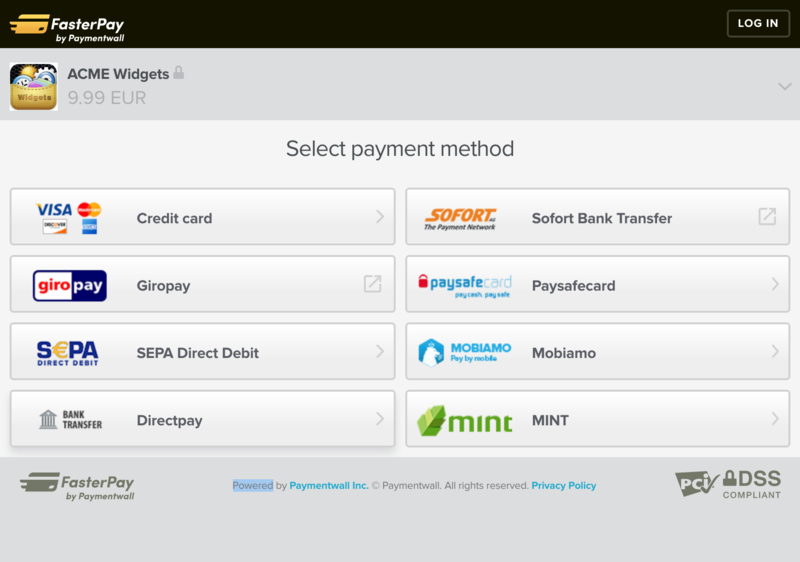 Once the payment goes through, "Thank you" message is displayed to the end-user. Paymentwall notifies the merchant via pingback about the payment going through. Upon receiving a pingback, the merchant deliveres the product to the end-user. 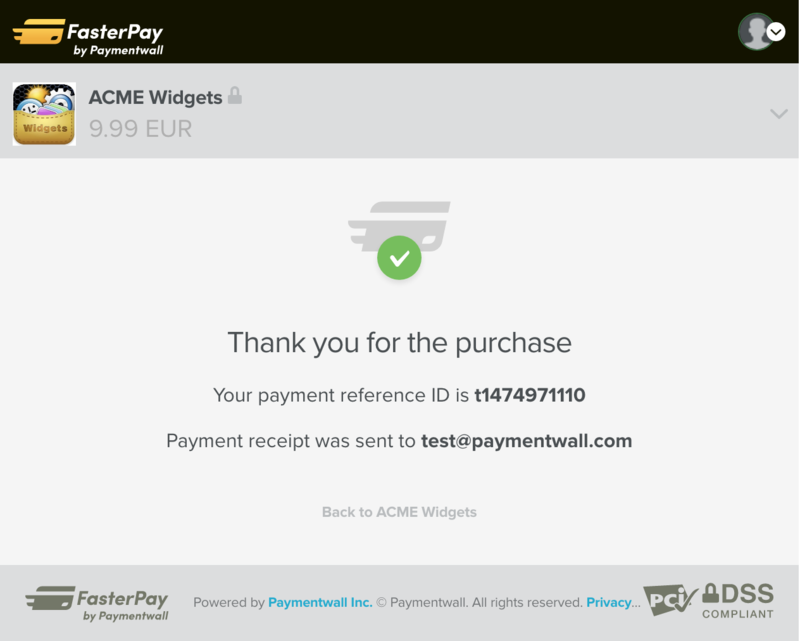 If email of the end-user is communicated to Paymentwall via email GET parameter of the widget URL or if the end-user is logged into his personal Paymentwall Account, Paymentwall will send a payment receipt to the end-user. An example is displayed below.